Thoughts of a welsh brummie. Anyone who knows Leeds will be aware that the Hyde Park Picture House is one of its hidden jewels. Built in 1908 and showing films since 1914, it is one of the few surviving old fashioned picture houses in the land. No better setting then for seeing, over the weekend, that old time Christmas favourite “It’s a Wonderful Life” on the big screen. I have probably seen this film more often than any other and I always enjoy it. It’s well made, beautifully acted, funny and tear jerking in equal measure. 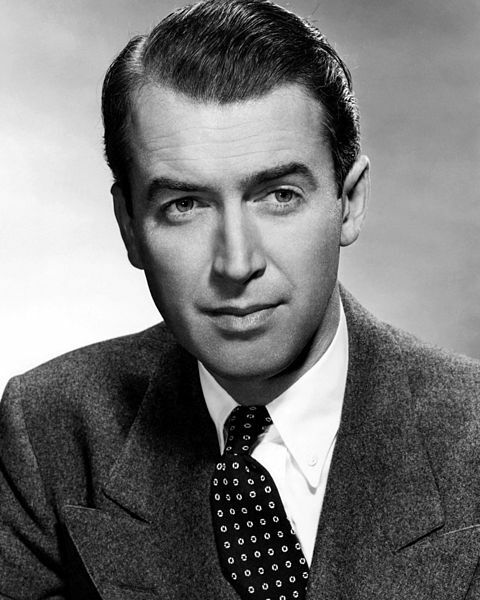 James Stewart remains my favourite Hollywood star. This is the magic of cinema in full measure with no need for CGI special effects to make a good movie. This time it made me reflect more on the story itself. Clearly it’s a fairy tale but there are some deeper themes behind it which, though the film was made in 1946, are pertinent to us today. The first is the tension between individualism and collectivism. Bedford Falls may be a rundown town off the beaten track but it is a community which inspires some loyalty from its inhabitants. Furthermore, throughout the film, George Bailey (James Stewart) is shown to be constantly torn between his individual ambition to go away, travel the world and forge his individual fortune and his sense of loyalty to his home town. Each time he is drawn back to do his bit for his community and for the Building and Loan the institution which symbolises the spirit of mutuality in its midst. The happy ending of the film is dependent on this spirit as the inhabitants club together to raise the $8,000 needed to save George Bailey just as he used the $2000 put aside for his honeymoon to bail out depositors when there was a run on the bank in the Depression. The second is the choice between “good” and “evil “capitalism. The latter is represented by Henry Potter, a malignant and disappointed slum landlord who gradually attempts to extend his financial grip over all aspects of life in Bedford Falls. He is caricatured as both a physical and psychological cripple who sees fails to see the humanity in the people to who he rents property or lends money, of value only in as much as they pay their dues to him. By contrast George Bailey, while acknowledging he is no businessman, sees a wider social purpose in providing the means to give his fellow citizens a roof over their heads. Even the swanky Sam Wainwright, George’s school friend, who does go away and make his fortune, does not forget the ties to his old friends and community when they need his help. The final theme is that of how to value life. Driven by the anxiety that the Building and Loan will be closed and he will be sent to gaol George Bailey thinks of taking his own life. Clarence, his guardian angel, is sent to rescue him. He is only able to do so by showing George exactly what the world would have been like if he hadn’t ever been born. In the end this is enough to remind George that life is worth living and that no man can be considered a failure who has friends. This is no left wing propaganda. The film’s Director, Frank Capra, a Sicilian immigrant, was a staunch Republican and strongly critical of President Roosevelt. Yet I could not but be struck by how the film’s values challenged some of the orthodoxies of our own age. Potter’s vision of capitalism – profit at any cost feels rather akin to that of Amazon and other untameable multi-national juggernauts. Pottersville, the version of Bedford Falls which George Bailey is shown by Clarence, when he sees how life would look like if he had never lived, full of neon lights, bars and dubious clubs reminds me of some of the streets of our cities today. In all sorts of areas individual interest is placed above mutual benefit and common decency. Most poignantly though it is the sense of what is valuable in life where this film most challenges the world of 2013. There is no doubt that George Bailey could have been more successful, but he would be hard pressed to be a more generous and better liked member of his community. When, at length, he realises that he can see again that it is indeed a wonderful life.